The New York Knicks are in a peculiar position – they have several mediocre veterans taking up a majority of their cap-space. 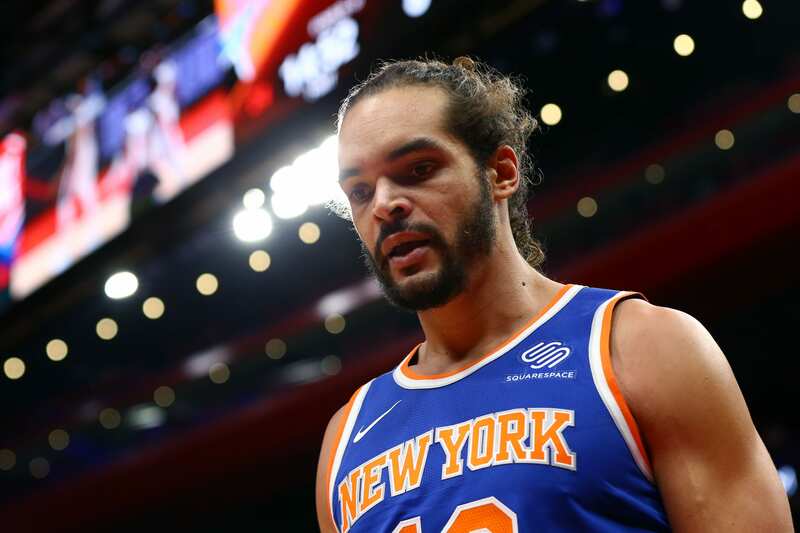 To specify, center Joakim Noah is taking up much more than he’s worth, and the Knicks understand that letting him walk is likely the best option – but how? According to ESPN, head coach David Fizdale will part ways with Noah after training camp. The Knicks will use the NBA’s waive and stretch provision to release him after September 1. Now, of course it would be more beneficial to utilize a Noah in a trade, but it’s unlikely that any team is willing to pick up the remaining two years and $37.8 million left on his contract. By waiting until after Sept., the Knicks can lessen the blow of his contract by spreading it out over the course of the next three years. While they will still be allocating a nice chunk of cash to a player not on the team anymore, it’s in the best interest of an organization trying to rid themselves of next-to- useless veteran’s like Noah. It’s possible he rejoins the team and plays in the 2018-19 season, as he would be a nice tool to have in regard to the development of rookie big-man Mitchell Robinson. General manager Scott Perry has been unwilling to trade Noah attached to any high-round assets or young, talented players. All of these options don’t seem too enticing, but they are the only possibilities the Knicks have in regard to Noah. How much would the New York Knicks have to give Joakim Noah if they utilize the waive-and-stretch provisional? Given the Knicks use the provisional, Noah’s cap-hit would $6.4 million, saving $12.9 million toward the salary cap. Additionally, they would have to pay $6.4 in 2020 and 2021. It’s a big-break in terms of the money he’d be making if they kept him – over $10 million per season. So, you make the call – do you cut the veteran and save a good amount of cap, or let him stay and mentor Robinson? New York Knicks Moving Ntilikina During Draft?